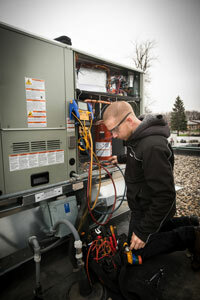 Bullet Proof Mechanical Service, Inc. of Willmar is a full service commercial HVAC contractor. We design, sell, install and service all types of heating and cooling systems. This includes packaged roof top units, boilers, burners, refrigeration and food service equipment. We've got the knowledge and experience to handle your needs. You may have seen our trucks around and asked yourself; "what is Bullet Proof Mechanical"? Many people ask; "are your vans really bullet proof"? Well, the answer is no! However the quality of service and workmanship that we provide is! We frequently service the areas surrounding Willmar including Benson, Montevideo, Granite Falls, Olivia, Hutchinson, Litchfield, Spicer, Paynesville and throughout Central Minnesota.